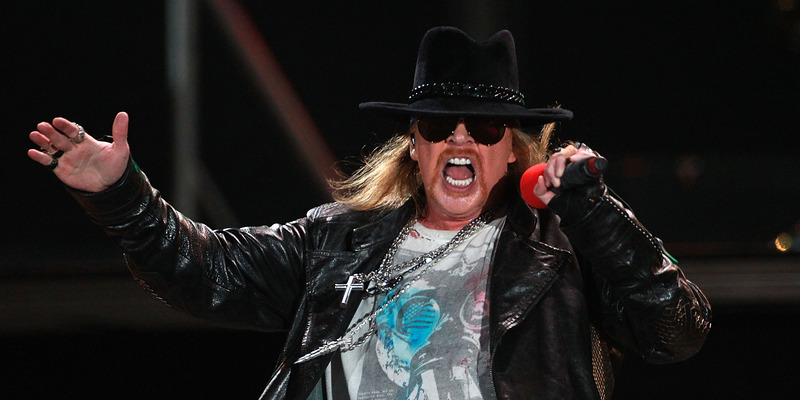 A photo of Axl Rose from 2010 has turned into a meme, and the singer isn’t happy about it. 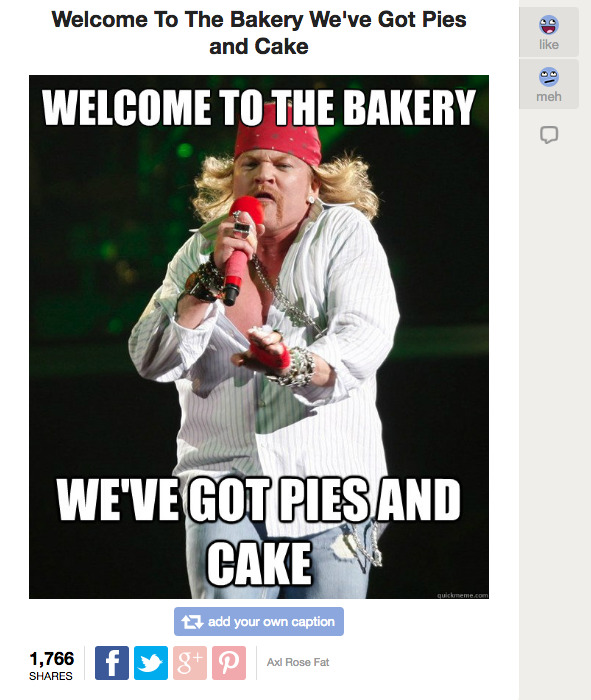 The Guns N’ Roses frontman recently sent DMCA takedown notices to Blogspot and GoogleUserContent, through Web Sheriff, as TorrentFreak reports, regarding one image that has made the rounds online. The photo in question has been used in a meme poking fun at Axl Rose’s apparent weight gain — see a screenshot from quickmeme.com below. The photo was taken at a concert by photographer Boris Minkevich and was published in the Winnipeg Free Press, as you can see here. While you might assume the photographer has the copyright, Web Sheriff says that photographers at Axl Rose’s concerts sign contracts that give rights to the musician and his team. Minkevich himself can’t remember if he signed such a form. Rose and Web Sheriff have filed multiple DMCA requests regarding the image, but it is still searchable on Google Images as of this writing.